ABOUT MY LOOK: In L.O.V.E. with leather. WHEN TO WEAR: Just one day left until the new collaboration of &OTHER STORIES with ZANA BAYNE is launched. That’s why this week’s look is based on these extraordinary accessory collection: leather belts, harnesses, corsages and chokers are part of the co-lab. 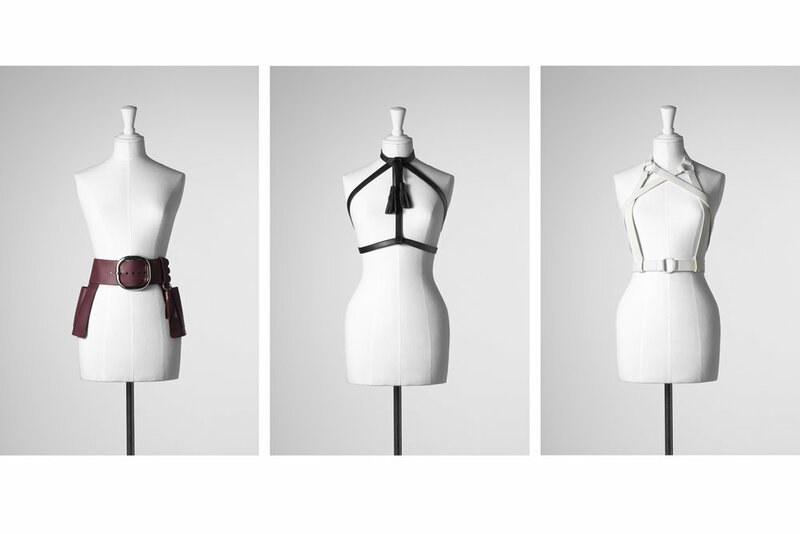 My styling tipp: If it’s just for the love of fashion pimping casual pieces or if you rather need an upgrade for an impressive night look, these are the right pieces to invest in: a bordeaux colored belt, a white choker harness and a black belt/harness. Why? Because they are working everywhere, starting with simples dresses,over to tops and finally they are perfect to shape loose knitwear. THE CHOSEN ONES: • „Zana Bayne Leather Utility Belt“ in bordeaux for €125,–. • „Zana Bayne Leather Braces and Harness“ in black for €125,–. • „Zana Bayne Choker Harness“ in white for €125,–. WHERE TO BUY: the exclusive co-lab and limited edition is available in selected &OTHER STORIES-stores and at the online shop | sales launch is the 22nd of September 2016.